If you or a loved one suffered an assault in an apartment complex, it is wise to seek the counsel of an experienced personal injury lawyer. After investigating the situation surrounding your attack, we can properly assess liability and provide you clear direction on your best course of action. The Seattle inadequate apartment security lawyers at Kraft Davies, PLLC, have experience guiding injured clients through a wide range of situations. 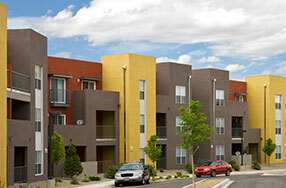 If you live in an apartment complex, your safety should be assured by the complex manager and building owner. Common areas such as parking lots, hallways, laundry facilities or recreational areas should be secure, adequately locked, well lit and safe. It is not uncommon, however, for property owners to be negligent in their efforts to secure the premises, and tenants or their visitors pay the price. If the owner or manager of an apartment complex is negligent in protecting his or her tenants, it might be possible to recover monetary compensation for damages if you were assaulted. Contact us at 206.624.8844. When our attorneys accept your case, we will immediately begin an investigation into all aspects surrounding your assault. We will look into the history of the property for evidence of similar crimes or other behavior that may lead to foreseeable attacks. Whether the assault was encouraged by inadequate lighting, defective door security or faulty perimeter security, it is important to hold the liable party accountable for his or her negligence. Our firm will provide legal advice and representation with the goal of recovering the maximum compensation possible for your medical bills and pain and suffering. For more information or to schedule an appointment with an experienced personal injury lawyer regarding inadequate apartment complex security, please contact us.